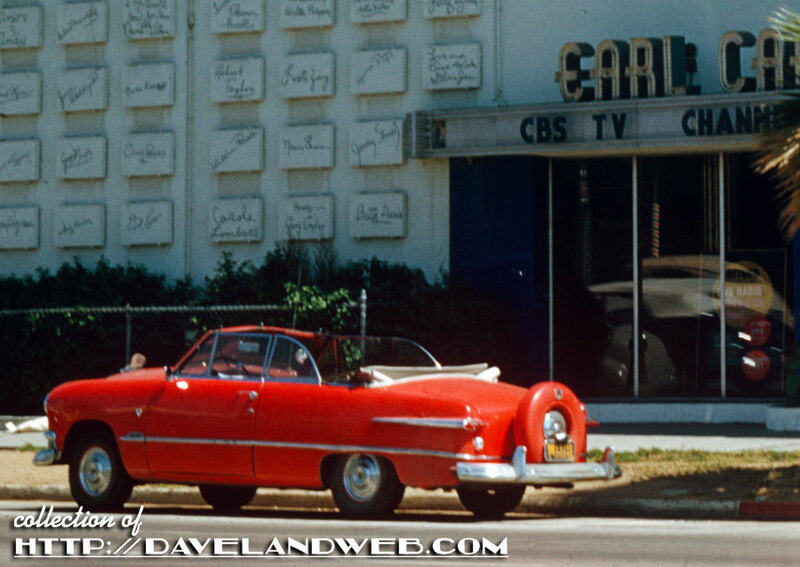 This 1950’s vintage shot shows the Earl Carroll Theatre on Sunset Boulevard. Built in 1938, it was designed in the Moderne style by architect Gordon Kaufmann and known for the 20-foot-high neon head caricature of entertainer Beryl Wallace, one of Earl Carroll's "most beautiful girls in the world." The sign survived until 1968 when it was removed. 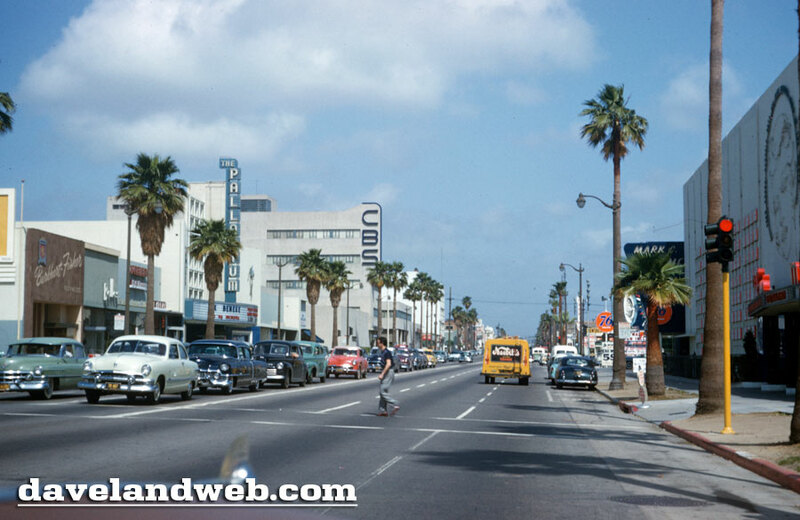 Here’s a previously published shot from 1954 that shows a wider view of Sunset Boulevard where the Theatre was located. The Palladium on the left-hand side is still in business. 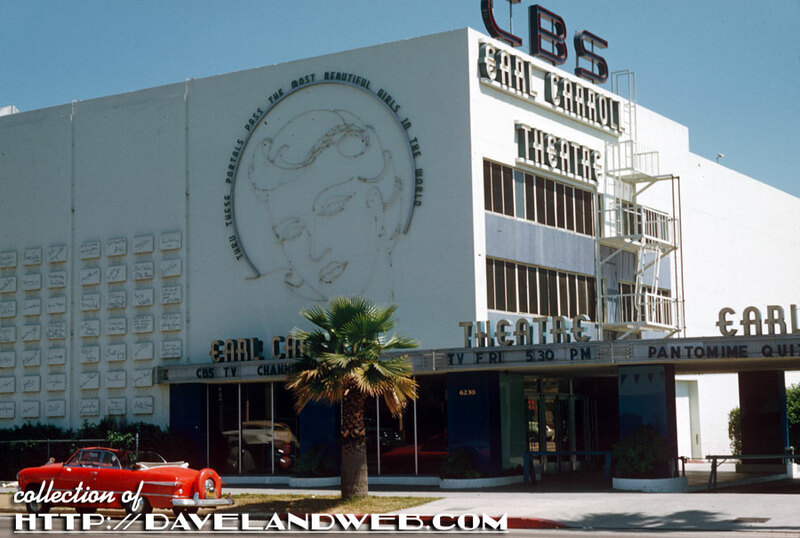 The Earl Carroll Theatre opened with a lavish revue called “Broadway to Hollywood” featuring sixty showgirls. Hollywood’s biggest stars turned up for the occasion, including Marlene Dietrich, Edgar Bergen, Claudette Colbert, Errol Flynn, and Betty Grable. 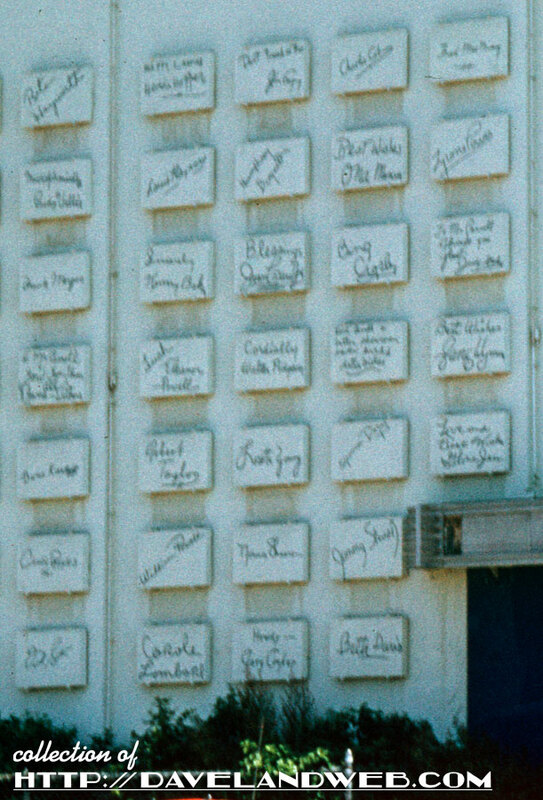 The façade also showcased a “Wall of Fame,” on which were mounted more than a hundred individual blocks autographed by Hollywood celebrities from the 1930s and 1940s. Note “Blessings Joan Crawford” towards the center. I wonder what happened to these concrete gems? The theater was sold after the deaths of Earl Carroll and Beryl Wallace on June 17, 1948 in a United Airlines flight crash. 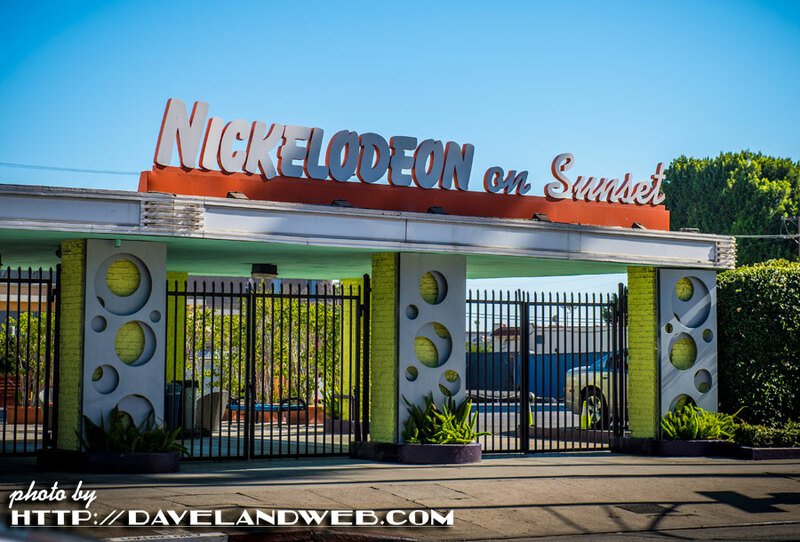 From 1997-2017, the building was home to the Nickelodeon cable channel. In 2016, the Los Angeles City Council designated the building an Historic-Cultural Monument and also approved a proposal to construct a new mixed-use building on the western portion of the site of the theater building. The project will retain the historic building and incorporate new construction on the adjacent surface parking lot. The new development will be seven stories tall. Just what LA needs...more development. Yikes.